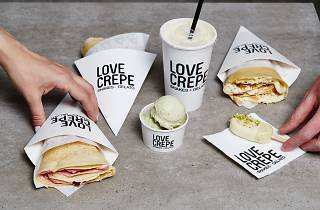 This brightly-lit gelateria and creperie is a haven for sweet tooths, crafting both delicate and decadent hand-held crepes, shakes and gelato out of their Pyrmont corner shop. Twenty flavours of gelato are made on-site daily, from your classic gianduja and salted pistachio to fun combinations like buttermilk pancake and maple syrup, and even a vegan almond number for you plant-based folk. 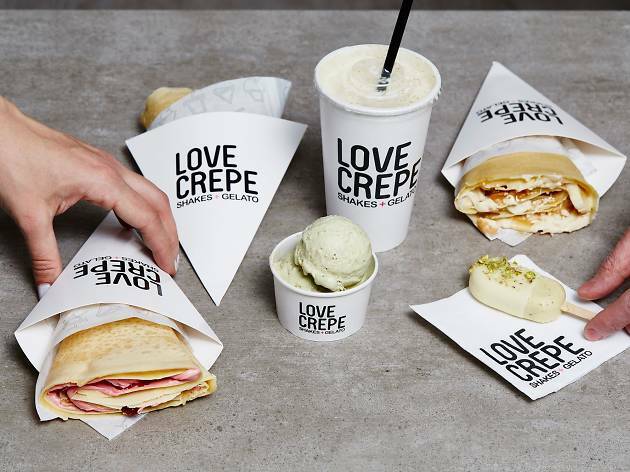 But really, it’s the namesake crepes you’re here for, made fresh to order and filled with all manner of sugary delights. Keep it classy with a drizzle of custard and a sprinkle of cinnamon, or go full inner-kid with their latest creation, the Pink Nutella Lovecrepe, a near-toppling structure of praline, crushed oreos, fresh strawberries and nutella, stacked with a scoop of vanilla malt gelato and Persian fairy floss.